It was considered by certain people to be a dramatic moment in the history of musical enterprise in the Five Towns when Mrs Swann opened the front door of her house at Bleakridge, in the early darkness of a November evening, and let forth her son Gilbert. Gilbert's age was nineteen, and he was wearing evening dress, a form of raiment that had not hitherto happened to him. Over the elegant suit was his winter overcoat, making him bulky, and round what may be called the rim of the overcoat was a white woollen scarf, and the sleeves of the overcoat were finished off with white woollen gloves. Under one arm he carried a vast inanimate form whose extremity just escaped the ground. This form was his violoncello, fragile as a pretty woman, ungainly as a navvy, and precious as honour. Mrs Swann looked down the street, which ended to the east in darkness and a marl pit, and up the street, which ended to the west in Trafalgar Road and electric cars; and she shivered, though she had a shawl over her independent little shoulders. In the Five Towns, and probably elsewhere, when a woman puts her head out of her front door, she always looks first to right and then to left, like a scouting Iroquois, and if the air nips she shivers--not because she is cold, but merely to express herself. "For goodness sake, keep your hands warm," Mrs Swann enjoined her son. "Oh!" said Gilbert, with scornful lightness, as though his playing had never suffered from cold hands, "it's quite warm to-night!" Which it was not. "And mind what you eat!" added his mother. "There! I can hear the car." He hurried up the street. The electric tram slid in thunder down Trafalgar Road, and stopped for him with a jar, and he gingerly climbed into it, practising all precautions on behalf of his violoncello. The car slid away again towards Bursley, making blue sparks. Mrs Swann stared mechanically at the flickering gas in her lobby, and then closed her front door. He was gone! The boy was gone! Now, the people who considered the boy's departure to be a dramatic moment in the history of musical enterprise in the Five Towns were Mrs Swann, chiefly, and the boy, secondarily. And more than the moment--the day, nay, the whole week--was dramatic in the history of local musical enterprise. It had occurred to somebody in Hanbridge, about a year before, that since York, Norwich, Hereford, Gloucester, Birmingham, and even Blackpool had their musical festivals, the Five Towns, too, ought to have its musical festival. The Five Towns possessed a larger population than any of these centres save Birmingham, and it was notorious for its love of music. Choirs from the Five Towns had gone to all sorts of places--such as Brecknock, Aberystwyth, the Crystal Palace, and even a place called Hull--and had come back with first prizes--cups and banners--for the singing of choruses and part-songs. There were three (or at least two and a half) rival choirs in Hanbridge alone. Then also the brass band contests were famously attended. In the Five Towns the number of cornet players is scarcely exceeded by the number of public-houses. Hence the feeling, born and fanned into lustiness at Hanbridge, that the Five Towns owed it to its self-respect to have a Musical Festival like the rest of the world! Men who had never heard of Wagner, men who could not have told the difference between a sonata and a sonnet to save their souls, men who spent all their lives in manufacturing tea-cups or china door-knobs, were invited to guarantee five pounds a-piece against possible loss on the festival; and they bravely and blindly did so. The conductor of the largest Hanbridge choir, being appointed to conduct the preliminary rehearsals of the Festival Chorus, had an acute attack of self-importance, which, by the way, almost ended fatally a year later. Double-crown posters appeared magically on all the hoardings announcing that a Festival consisting of three evening and two morning concerts would be held in the Alexandra Hall, at Hanbridge, on the 6th, 7th and 8th November, and that the box-plan could be consulted at the principal stationers. The Alexandra Hall contained no boxes whatever, but "box-plan" was the phrase sacred to the occasion, and had to be used. And the Festival more and more impregnated the air, and took the lion's share of the columns of the Staffordshire Signal. Every few days the Signal reported progress, even to intimate biographical details of the singers engaged, and of the composers to be performed, together with analyses of the latter's works. And at last the week itself had dawned in exhilaration and excitement. And early on the day before the opening day John Merazzi, the renowned conductor, and Herbert Millwain, the renowned leader of the orchestra, and the renowned orchestra itself, all arrived from London. And finally sundry musical critics arrived from the offices of sundry London dailies. The presence of these latter convinced an awed population that its Festival was a real Festival, and not a local make-believe. And it also tranquillized in some degree the exasperating and disconcerting effect of a telegram from the capricious Countess of Chell (who had taken six balcony seats and was the official advertised high patroness of the Festival) announcing at the last moment that she could not attend. From earliest infancy Gilbert had been a musical prodigy, and the circle of his fame had constantly been extending. He could play the piano with his hands before his legs were long enough for him to play it with his feet. That is to say, before he could use the pedals. A spectacle formerly familiar to the delighted friends of the Swanns was Gilbert, in a pinafore and curls, seated on a high chair topped with a large Bible and a bound volume of the Graphic, playing "Home Sweet Home" with Thalberg's variations, while his mother, standing by his side on her right foot, put the loud pedal on or off with her left foot according to the infant's whispered orders. He had been allowed to play from ear--playing from ear being deemed especially marvellous--until some expert told Mrs Swann that playing solely from ear was a practice to be avoided if she wished her son to fulfil the promise of his babyhood. Then he had lessons at Knype, until he began to teach his teacher. Then he said he would learn the fiddle, and he did learn the fiddle; also the viola. He did not pretend to play the flute, though he could. And at school the other boys would bring him their penny or even sixpenny whistles so that he might show them of what wonderful feats a common tin whistle is capable. Mr Swann was secretary for the Toft End Brickworks and Colliery Company (Limited). Mr Swann had passed the whole of his career in the offices of the prosperous Toft End Company, and his imagination did not move freely beyond the company's premises. He had certainly intended that Gilbert should follow in his steps; perhaps he meant to establish a dynasty of Swanns, in which the secretaryship of the twenty percent paying company should descend for ever from father to son. But Gilbert's astounding facility in music had shaken even this resolve, and Gilbert had been allowed at the age of fifteen to enter, as assistant, the shop of Mr James Otkinson, the piano and musical instrument dealer and musicseller, in Crown Square, Hanbridge. Here, of course, he found himself in a musical atmosphere. Here he had at once established a reputation for showing off the merits of a piano, a song, or a waltz, to customers male and female. Here he had thirty pianos, seven harmoniums, and all the new and a lot of classical music to experiment with. He would play any "piece" at sight for the benefit of any lady in search of a nice easy waltz or reverie. Unfortunately ladies would complain that the pieces proved much more difficult at home than they had seemed under the fingers of Gilbert in the shop. Here, too, he began to give lessons on the piano. And here he satisfied his secret ambition to learn the violoncello, Mr Otkinson having in stock a violoncello that had never found a proper customer. His progress with the 'cello had been such that the theatre people offered him an engagement, which his father and his own sense of the enormous respectability of the Swanns compelled him to refuse. But he always played in the band of the Five Towns Amateur Operatic Society, and was beloved by its conductor as being utterly reliable. His connection with choirs started through his merits as a rehearsal accompanist who could keep time and make his bass chords heard against a hundred and fifty voices. He had been appointed (nem. con.) rehearsal accompanist to the Festival Chorus. He knew the entire Festival music backwards and upside down. And his modestly-expressed desire to add his 'cello as one of the local reinforcements of the London orchestra had been almost eagerly complied with by the Advisory Committee. Nor was this all. He had been invited to dinner by Mrs Clayton Vernon, the social leader of Bursley. In the affair of the Festival Mrs Clayton Vernon loomed larger than even she really was. And this was due to an accident, to a sheer bit of luck on her part. She happened to be a cousin of Mr Herbert Millwain, the leader of the orchestra down from London. Mrs Clayton Vernon knew no more about music than she knew about the North Pole, and cared no more. But she was Mr Millwain's cousin, and Mr Millwain had naturally to stay at her house. And she came in her carriage to fetch him from the band rehearsals; and, in short, anyone might have thought from her self-satisfied demeanour (though she was a decent sort of woman at heart) that she had at least composed "Judas Maccabeus." It was at a band rehearsal that she had graciously commanded Gilbert Swann to come and dine with her and Mr Millwain between the final rehearsal and the opening concert. This invitation was, as it were, the overflowing drop in Mrs Swann's cup. It was proof, to her, that Mr Millwain had instantly pronounced Gilbert to be the equal of London 'cellists, and perhaps their superior. It was proof, to her, that Mr Millwain relied on him particularly to maintain the honour of the band in the Festival. Gilbert had dashed home from the final rehearsal, and his mother had helped him with the unfamiliarities of evening dress, while he gave her a list of all the places in the music where, as he said, the band was "rocky," and especially the 'cellos, and a further list of all the smart musical things that the players from London had said to him and he had said to them. He simply knew everything from the inside. And not even the great Merazzi, the conductor, was more familiar with the music than he. And the ineffable Mrs Clayton Vernon had asked him to dinner with Mr Millwain! It was indubitable to Mrs Swann that all the Festival rested on her son's shoulders. "It's freezing, I think," said Mr Swann, when he came home at six o'clock from his day's majestic work at Toft End. This was in the bedroom. Mrs Swann, a comely little thing of thirty-nine, was making herself resplendent for the inaugural solemnity of the Festival, which began at eight. The news of the frost disturbed her. "Annoying?" he questioned blandly. "Why?" "Now you needn't put on any of your airs, John!" she snapped. She had a curt way with her at critical times. "You know as well as I do that I'm thinking of Gilbert's hands.... No! you must wear your frock-coat, of course!... All that drive from the other end of the town right to Hanbridge in a carriage! Perhaps outside the carriage, because of the 'cello! There'll never be room for two of them and the 'cello and Mrs Clayton Vernon in her carriage! And he can't keep his hands in his pockets because of holding the 'cello. And he's bound to pretend he isn't cold. He's so silly. And yet he knows perfectly well he won't do himself justice if his hands are cold. Don't you remember last year at the Town Hall?" "Well," said Mr Swann, "we can't do anything; anyway, we must hope for the best." "That's all very well," said Mrs Swann. And it was. Shortly afterwards, perfect in most details of her black silk, she left the bedroom, requesting her husband to be quick, as tea was ready. And she came into the little dining-room where the youthful servant was poking up the fire. "Jane," she said, "put two medium-sized potatoes in the oven to bake." "Yes, potatoes," said Mrs Swann, tartly. It was an idea of pure genius that had suddenly struck her; the genius of common sense. She somewhat hurried the tea; then rang. "Jane," she inquired, "are those potatoes ready?" "Yes, hot potatoes," said Mrs Swann, tartly. "I'm going to run up with them by car to Mrs Vernon's. I can slip them quietly over to Gil. They keep your hands warm better than anything. Don't I remember when I was a child! I shall leave Mrs Vernon's immediately, of course, but perhaps you'd better give me my ticket and I will meet you at the hall. Don't you think it's the best plan, John?" "As you like," said Mr Swann, with the force of habit. He was supreme in most things, but in the practical details of their son's life and comfort she was supreme. Her decision in such matters had never been questioned. 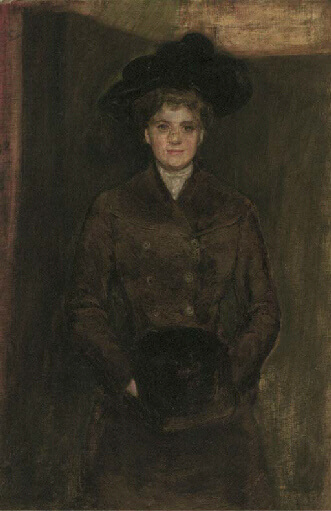 Mr Swann had a profound belief in his wife as a uniquely capable and energetic woman. He was tremendously loyal to her, and he sternly inculcated the same loyalty to her in Gilbert. Just as the car had stopped at the end of the street for Gilbert and his violoncello, so--more than an hour later--it stopped for Mrs Swann and her hot potatoes. They were hot potatoes--nay, very hot potatoes--of a medium size, because Mrs Swann's recollections of youth had informed her that if a potato is too large one cannot get one's fingers well around it, and if it is too small it cools somewhat rapidly. She had taken two, not in the hope that Gilbert would be able to use two at once, for one cannot properly nurse either a baby or a 'cello with two hands full of potatoes, but rather to provide against accident. Besides, the inventive boy might after all find a way of using both simultaneously, which would be all the better for his playing at the concert, and hence all the better for the success of the Musical Festival. It never occurred to Mrs Swann that she was doing anything in the least unusual. There she was, in her best boots, and her best dress, and her best hat, and her sealskin mantle (not easily to be surpassed in the town), and her muff to match (nearly), and concealed in the muff were the two very hot potatoes. And it did not strike her that women of fashion like herself, wives of secretaries of flourishing companies, do not commonly go about with hot potatoes concealed on their persons. For she was a self-confident woman, and after a decision she did not reflect, nor did she heed minor consequences. She was always sure that what she was doing was the right and the only thing to do. And, to give her justice, it was; for her direct, abrupt common sense was indeed remarkable. The act of climbing up into the car warned her that she must be skilful in the control of these potatoes; one of them nearly fell out of the right end of her muff as she grasped the car rail with her right hand. She had to let go and save the potato, and begin again, while the car waited. The conductor took her for one of those hesitating, hysterical women who are the bane of car conductors. "Now, missis!" he said. "Up with ye!" But she did not care what manner of woman the conductor took her for. The car was nearly full of people going home from their work, of people actually going in a direction contrary to the direction of the Musical Festival. She sat down among them, shocked by this indifference to the Musical Festival. At the back of her head had been an idea that all the cars for Hanbridge would be crammed to the step, and all the cars from Hanbridge forlorn and empty. She had vaguely imagined that the thoughts of a quarter of a million of people would that evening be centred on the unique Musical Festival. And she was shocked also by the conversation--not that it was in the slightest degree improper--but because it displayed no interest whatever in the Musical Festival. And yet there were several Festival advertisements adhering to the roof of the car. Travellers were discussing football, soap, the weather, rates, trade; travellers were dozing; travellers were reading about starting prices; but not one seemed to be occupied with the Musical Festival. "Nevertheless," she reflected with consoling pride, "if they knew that our Gilbert was playing 'cello in the orchestra and dining at this very moment with Mr Millwain, some of them would be fine and surprised, that they would!" No one would ever have suspected, from her calm, careless, proud face, that such vain and two-penny thoughts were passing through her head. But the thoughts that do pass through the heads of even the most common-sensed philosophers, men and women, are truly astonishing. In four minutes she was at Bursley Town Hall, where she changed into another car--full of people equally indifferent to the Musical Festival--for the suburb of Hillport, where Mrs Clayton Vernon lived. "Put me out opposite Mrs Clayton Vernon's, will you?" she said to the conductor, and added, "you know the house?" He nodded as if to say disdainfully in response to such a needless question: "Do I know the house? Do I know my pocket?" As she left the car she did catch two men discussing the Festival, but they appeared to have no intention of attending it. They were earthenware manufacturers. One of them raised his hat to her. And she said to herself: "He at any rate knows how important my Gilbert is in the Festival!" It was at the instant she pushed open Mrs Clayton Vernon's long and heavy garden gate, and crunched in the frosty darkness up the short winding drive, that the notion of the peculiarity of her errand first presented itself to her. Mrs Clayton Vernon was a relatively great lady, living in a relatively great house; one of the few exalted or peculiar ones who did not dine in the middle of the day like other folk. Mrs Clayton Vernon had the grand manner. Mrs Clayton Vernon instinctively and successfully patronized everybody. Mrs Clayton Vernon was a personage with whom people did not joke. And lo! Mrs Swann was about to invade her courtly and luxurious house, uninvited, unauthorized, with a couple of hot potatoes in her muff. What would Mrs Clayton Vernon think of hot potatoes in a muff? Of course, the Swanns were "as good as anybody." The Swanns knelt before nobody. The Swanns were of the cream of the town, combining commerce with art, and why should not Mrs Swann take practical measures to keep her son's hands warm in Mrs Clayton Vernon's cold carriage? Still, there was only one Mrs Clayton Vernon in Bursley, and it was impossible to deny that she inspired awe, even in the independent soul of Mrs Swann. "Will you please tell Mr Gilbert Swann that someone wants to speak to him a minute at the door?" "Yes," said the servant, with pert civility. "Will you please step in?" She had not meant to step in. She had decidedly meant not to step in, for she had no wish to encounter Mrs Clayton Vernon; indeed, the reverse. But she immediately perceived that in asking to speak to a guest at the door she had socially erred. At Mrs Clayton Vernon's refined people did not speak to refined people at the door. So she stepped in, and the door was closed, prisoning her and her potatoes in the imposing hall. "I only want to see Mr Gilbert Swann," she insisted. "Yes," said the servant. "Will you please step into the breakfast-room? There's no one there. I will tell Mr Swann." As Mrs Swann was being led like a sheep out of the hall into an apartment on the right, which the servant styled the breakfast-room, another door opened, further up the hall, and Mrs Clayton Vernon appeared. Magnificent though Mrs Swann was, the ample Mrs Clayton Vernon, discreetly decolletee, was even more magnificent. Dressed as she meant to show herself at the concert, Mrs Clayton Vernon made a resplendent figure worthy to be the cousin of the leader of the orchestra--and worthy even to take the place of the missing Countess of Chell. Mrs Clayton Vernon had a lorgnon at the end of a shaft of tortoise-shell; otherwise, a pair of eye-glasses on a stick. She had the habit of the lorgnon; the lorgnon seldom left her, and whenever she was in any doubt or difficulty she would raise the lorgnon to her eyes and stare patronizingly. It was a gesture tremendously effective. She employed it now on Mrs Swann, as who should say, "Who is this insignificant and scarcely visible creature that has got into my noble hall?" Mrs Swann stopped, struck into immobility by the basilisk glance. A courageous and even a defiant woman, Mrs Swann was taken aback. She could not possibly tell Mrs Clayton Vernon that she was the bearer of hot potatoes to her son. She scarcely knew Mrs Clayton Vernon, had only met her once at a bazaar! With a convulsive unconscious movement her right hand clenched nervously within her muff and crushed the rich mealy potato it held until the flesh of the potato was forced between the fingers of her glove. A horrible sticky mess! That is the worst of a high-class potato, cooked, as the Five Towns phrase it, "in its jacket." It will burst on the least provocation. There stood Mrs Swann, her right hand glued up with escaped potato, in the sober grandeur of Mrs Clayton Vernon's hall, and Mrs Clayton Vernon bearing down upon her like a Dreadnought. Steam actually began to emerge from her muff. "Ah!" said Mrs Clayton Vernon, inspecting Mrs Swann. "It's Mrs Swann! How do you do, Mrs Swann?" She seemed politely astonished, as well she might be. By a happy chance she did not perceive the wisp of steam. She was not looking for steam. People do not expect steam from the interior of a visitor's muff. "Oh!" said Mrs Swann, who was really in a pitiable state. "I'm sorry to trouble you, Mrs Clayton Vernon. But I want to speak to Gilbert for one moment." She then saw that Mrs Clayton Vernon's hand was graciously extended. She could not take it with her right hand, which was fully engaged with the extremely heated sultriness of the ruined potato. She could not refuse it, or ignore it. She therefore offered her left hand, which Mrs Clayton Vernon pressed with a well-bred pretence that people always offered her their left hands. "Nothing wrong, I do hope!" said she, gravely. "Oh no," said Mrs Swann. "Only just a little matter which had been forgotten. Only half a minute. I must hurry off at once as I have to meet my husband. If I could just see Gilbert--"
"Certainly," said Mrs Clayton Vernon. "Do come into the breakfast-room, will you? We've just finished dinner. We had it very early, of course, for the concert. Mr Millwain--my cousin--hates to be hurried. Maria, be good enough to ask Mr Swann to come here. Tell him that his mother wishes to speak to him." In the breakfast-room Mrs Swann was invited, nay commanded by Mrs Clayton Vernon, to loosen her mantle. But she could not loosen her mantle. She could do nothing. In clutching the potato to prevent bits of it from falling out of the muff, she of course effected the precise opposite of her purpose, and bits of the luscious and perfect potato began to descend the front of her mantle. The clock struck seven, and ages elapsed, during which Mrs Swann could not think of anything whatever to say, but the finger of the clock somehow stuck motionless at seven, though the pendulum plainly wagged. "I'm not too warm," she said at length, feebly but obstinately resisting Mrs Clayton Vernon's command. This, to speak bluntly, was an untruth. She was too warm. "Are you sure that nothing is the matter?" urged Mrs Clayton Vernon, justifiably alarmed by the expression of her visitor's features. "I beg you to confide in me if--"
"Not at all," said Mrs Swann, trying to laugh. "I'm only sorry to disturb you. I didn't mean to disturb you." "What on earth is that?" cried Mrs Clayton Vernon. The other potato, escaping Mrs Swann's vigilance, had run out of the muff and come to the carpet with a dull thud. It rolled half under Mrs Swann's dress. Almost hysterically she put her foot on it, thus making pulp of the second potato. "Didn't you hear anything? I trust it isn't a mouse! We have had them once." Mrs Clayton Vernon thought how brave Mrs Swann was, not to be frightened by the word "mouse." "I didn't hear anything," said Mrs Swann. Another untruth. "If you aren't too warm, won't you come a little nearer the fire?" But not for a thousand pounds would Mrs Swann have exposed the mush of potato on the carpet under her feet. She could not conceive in what ignominy the dreadful affair would end, but she was the kind of woman that nails her colours to the mast. "Dear me!" Mrs Clayton Vernon murmured. "How delicious those potatoes do smell! I can smell them all over the house." This was the most staggering remark that Mrs Swann had ever heard. "Yes," said Mrs Clayton Vernon, smiling. "I must tell you that Mr Millwain is very nervous about getting his hands cold in driving to Hanbridge. And he has asked me to have hot potatoes prepared. Isn't it amusing? It seems hot potatoes are constantly used for this purpose in winter by the pupils of the Royal College of Music, and even by the professors. My cousin says that even a slight chilliness of the hands interferes with his playing. So I am having potatoes done for your son too. A delightful boy he is!" "Really!" said Mrs Swann. "How queer! But what a good idea!" She might have confessed then. But you do not know her if you think she did. Gilbert came in, anxious and alarmed. Mrs Clayton Vernon left them together. The mother explained matters to the son, and in an instant of time the ruin of two magnificent potatoes was at the back of the fire. Then, without saluting Mrs Clayton Vernon, Mrs Swann fled. If you enjoyed this story, you might also enjoy O. Henry's Witches' Loves and James Joyce's A Mother. Visit our collection of 50 Great Feel-Good Stories for other uplifting stories. Add Hot Potatoes to your own personal library.